Remotely control your lighting using home automation platforms such as SmartThings and Control4 or go with neviweb, the management system designed by Sinopé for all Web programmable devices. Control your home’s lighting using voice command control with Google Assistant (Google Home), Alexa (Amazon Echo) or directly with Amazon’s Echo Plus. Technology for everyone Light switches and dimmers designed to enhance and simplify your life and whose use is disarmingly simple. The smart home has never been that accessible and exciting. The Sinopé light switches and dimmers work to perfection at all times. Neither Internet failure nor cloud issues will affect how they work because each programming made from a remote management platform is saved within the device itself. 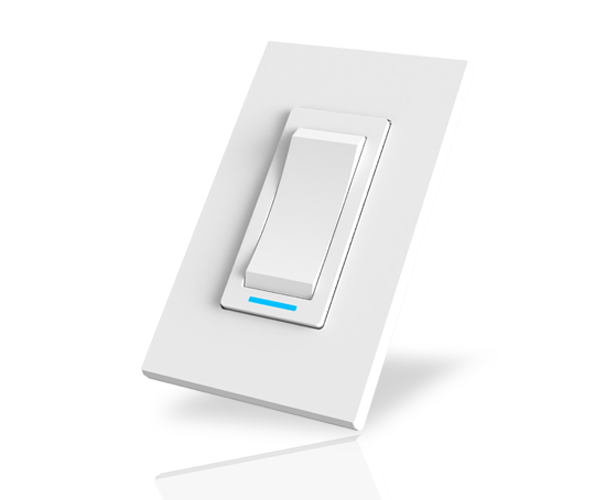 Sinopé light switches and dimmers will enhance your decor with their sleek and modern look. The light-emitting diode (LED) on the product adds a stylish touch with its color and intensity that can be modulated according to your desires.